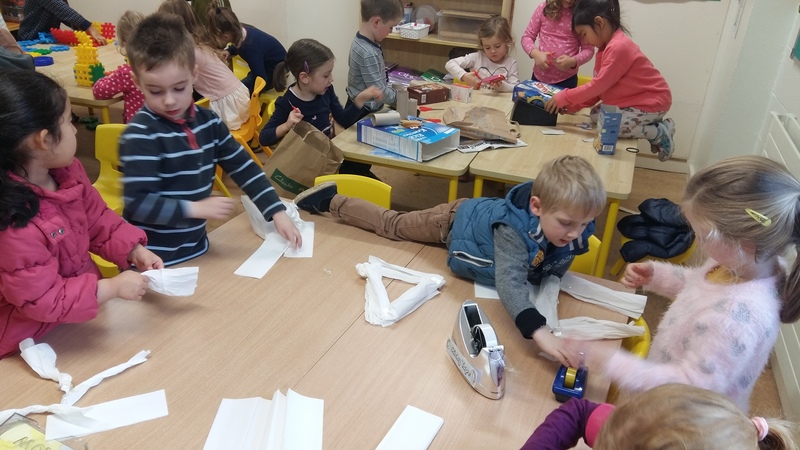 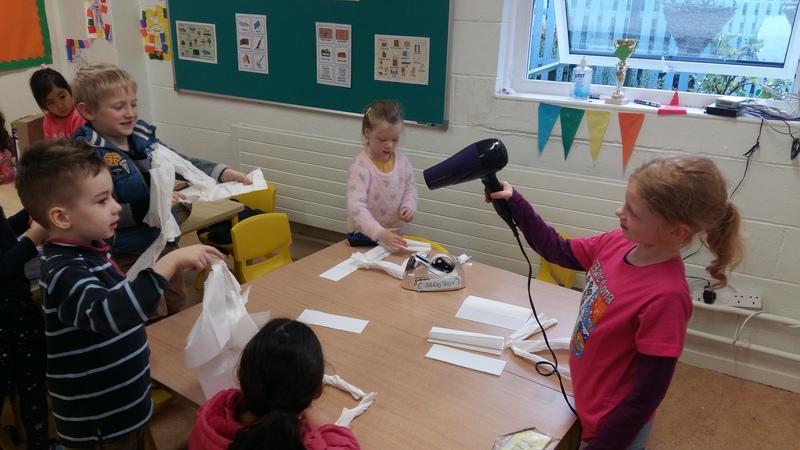 For Science Week 2016 Junior Infants examined four different types of materials to see which would make the strongest house for the three little pigs to live in. 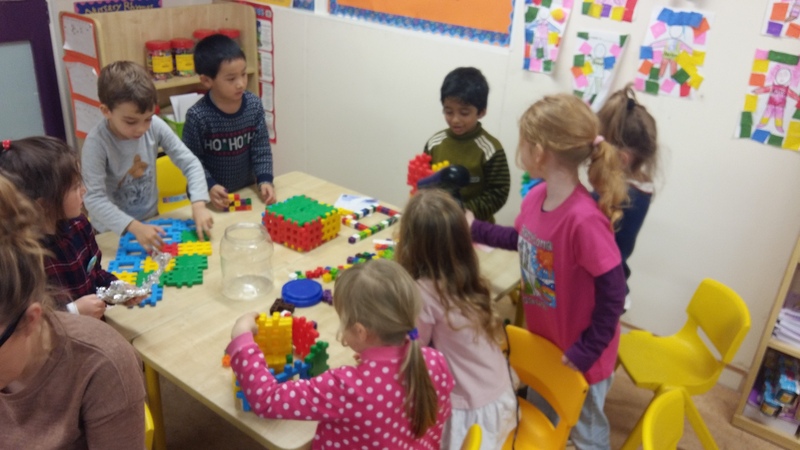 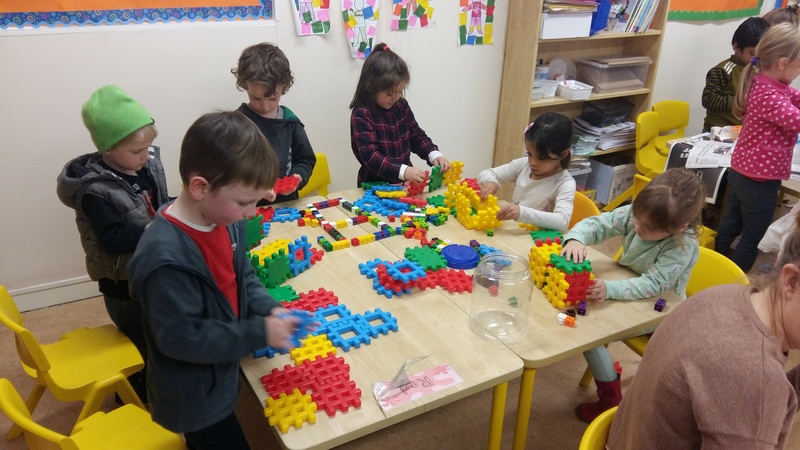 It linked in perfectly with our Aistear theme for this month ” The Home.” We had lots of fun exploring, building, discussing and predicting. 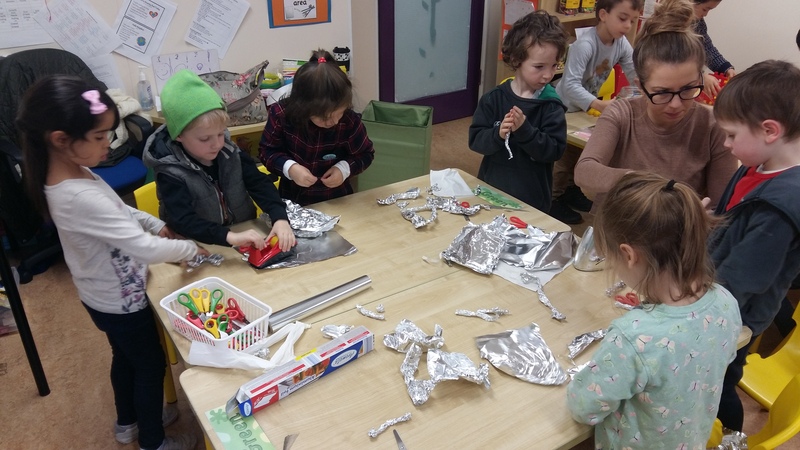 The four materials we tested out were paper towels, tin foil, card and building blocks. 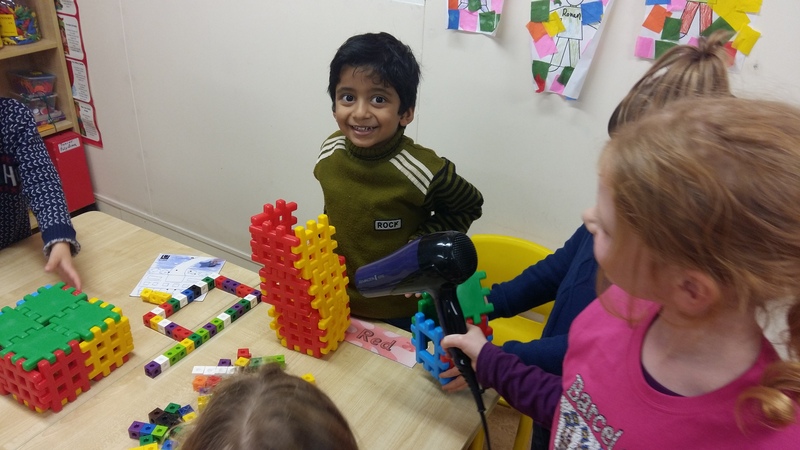 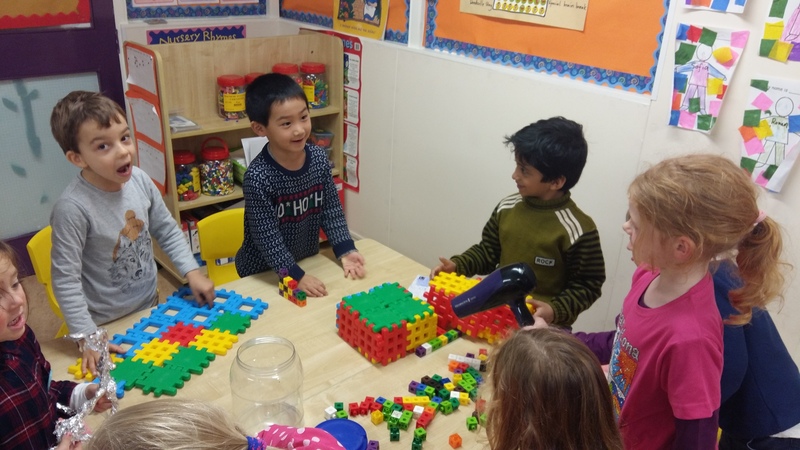 We tested out the strength of our houses using Neola’s hairdryer (The Big Bad Wolf!) 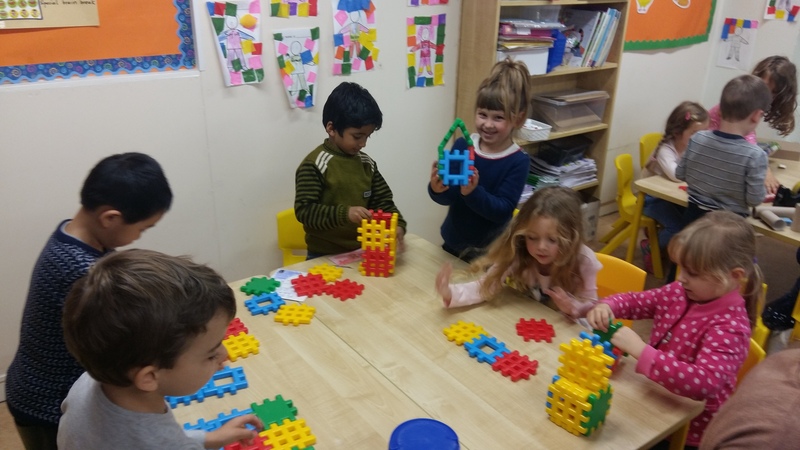 In the end we concluded that the building blocks were the best material to use as the hairdryer didn’t blow these houses down. 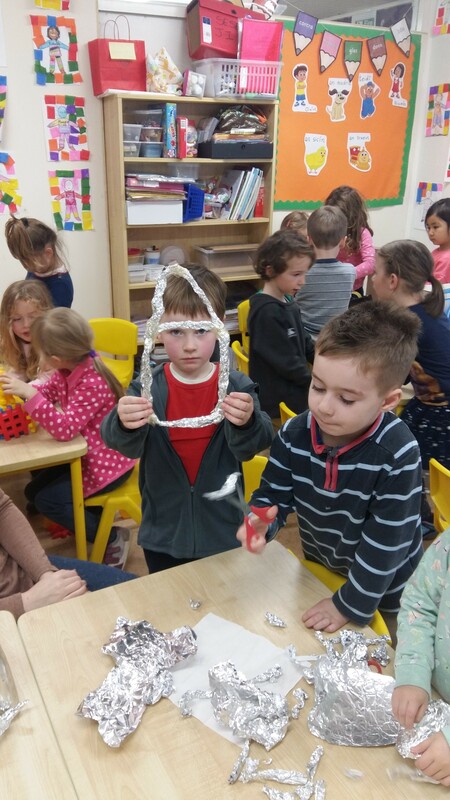 Take a look at all the fun we had being scientists!